The Alberta Court of Queen’s Bench has ruled a councillor at the centre of a conflict-of-interest scandal can keep her seat. 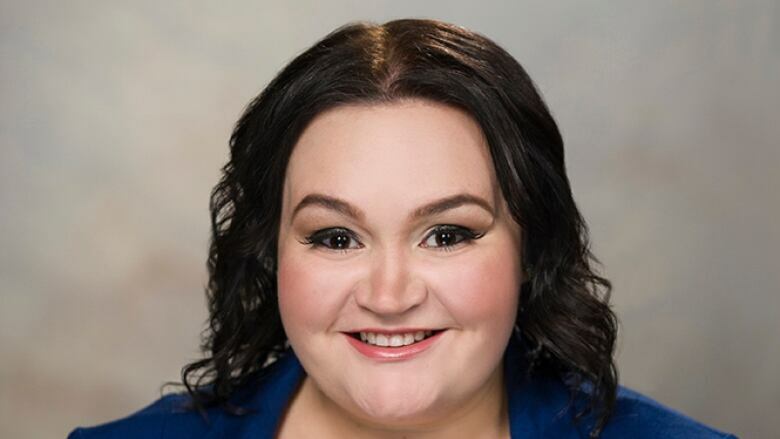 The Alberta Court of Queen's Bench has ruled a Fort McMurray councillor can keep her seat despite being involved in a case of conflict-of-interest. Justice Jane Fagnan handed down the ruling Friday afternoon at the Fort McMurray courthouse to the relief of Regional Municipality of Wood Buffalo Coun. Krista Balsom and her supporters. "It's been a challenging time," Balsom said outside the courthouse. "I just look forward to carrying on and doing the best work for our region." An independent municipal investigation found Balsom committed a pecuniary conflict of interest. In other words, Balsom participated in votes as a councillor in which she stood to gain financially, a violation of the Municipal Government Act which states councillors must excuse themselves from discussions and decisions on matters with which they stand to benefit. Balsom's lawyer acknowledged these and other facts in court Friday, but said the conflict wasn't intentional and didn't warrant dismissal. And, her lawyer argued, Balsom went out of her way to avoid the conflict. The judge acknowledged this in her ruling. The municipality's lawyer, Derek King, with the Calgary-based firm Brownlee LLP, said Balsom sought legal advice from Wood Buffalo's former lawyer about whether she could participate in the 2018 budget allocations. The lawyer determined Balsom was free to vote without violating the Municipal Government Act. But, King said, Balsom omitted key details about her contracts with a number of community organizations that would receive municipal funding. Had the lawyer been aware of the existence of those contracts, the advice given would have been different, King argued. "There was an absence of complete frankness," he said. Balsom's two lawyers disagreed, saying she outlined in emails with the municipality instances where she had several contracts with community organizations that receive funding. But the municipality's lawyer neglected to ask for details about those, Suzanne Manning told the court. Manning said her client acknowledges she was in conflict but at the time she believed she was acting in good faith. Balsom sought multiple meetings with the lawyer to discuss a possible conflict, demonstrating she did not intend violate the rules, Manning said. "Balsom's reputation has been smeared in the community," Manning said. "She believed she was taking proactive steps." Wood Buffalo municipal council asked Krista Balsom to resign in June over the conflict of interest. Balsom refused and an application was made in the Court of Queen's Bench to determine whether she should be removed. After the ruling Wood Buffalo Mayor Don Scott said in a statement he's glad council can put this case behind it. "I believed this was the appropriate process and support the decision of the court," Scott said. "As a team, we have a lot of work ahead of us and I look forward to focussing on that."